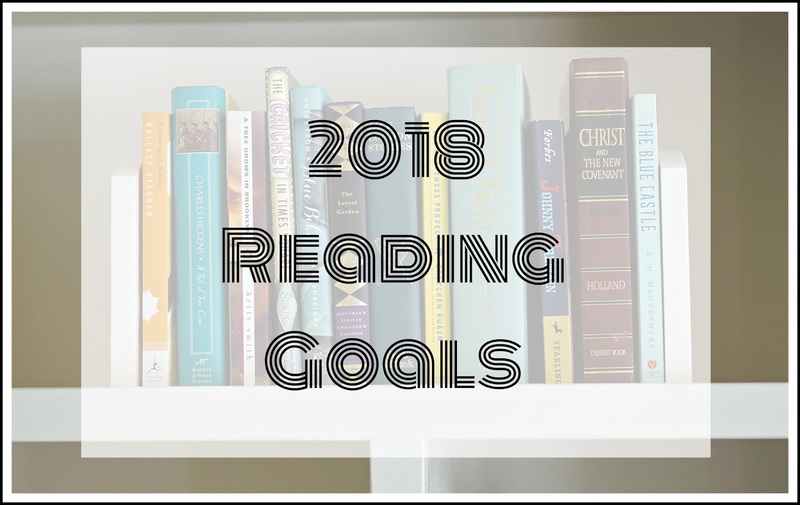 Over the last several months, I've been collecting and rejecting and deciding between and whittling down my list of reading goals for 2018. But I think I'm finally there. And I'm excited. This is going to be a good reading year. But first, just a couple of goal/blog-related notes. I did make a numbers goal this year, but mostly just because I like to watch the tracker tick up on Goodreads. I went with 52 books because it was a good middle-of-the-road number. It's not so intense that I'll feel like I can't do anything else except read, but it also won't let me be lazy. The other thing I wanted to mention is that I'm changing the way I do book reviews this year. I'm planning to do monthly recap posts, similar to Suzanne's, rather than full reviews. When I started this blog, it was because I had so much to say after finishing a book, and I needed a place to get it all out. But lately, writing reviews has felt more like something I have to do rather than something I get to do. And for something that's a hobby, that seems silly. So I'm going to keep my thoughts short and only write longer posts when I feel compelled to do so--like in the old days. I made this same goal last year (but with the 2017 winner, of course). I loved the suspense element of it--making the goal and not even knowing for several weeks which book I was going to be reading. This year, the ALA awards will be announced on February 12th. 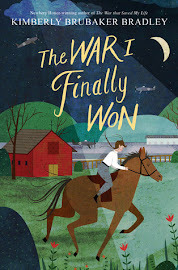 I was not good about reading new releases last year, and so I don't think there's any chance I've already read the winner (unless it's a picture book, like it was in 2016, in which case I'll read one of the honors). I've never read anything by her, and, I'll admit, this seems like a terrible oversight on my part. I know everyone reads A Room of One's Own, but recently, I heard a guest on What Should I Read Next talk about To the Lighthouse, and it piqued my interest. Then, a few weeks later, on another podcast, the guest mentioned writing her dissertation about knitting in literature (yes, really), and she mentioned that most of her dissertation focused on To the Lighthouse, so I'm guessing knitting must play a little role in the story, and, of course, that intrigues me, too. I'm still on the hunt for clean, endearing, well-written YA novels, but this year I've decided to narrow my focus a bit. 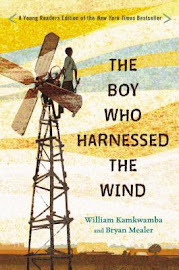 I remember a lot of the YA novels I loved as a teenager were written well before my birth, but instead of not being able to relate to them, I loved them all the more for their old-fashioned charm. For this goal, I may revisit some of those favorites (ones like Fifteen by Beverly Cleary, Pick a New Dream by Lenora Mattingly Weber, or Betsy Was a Junior by Maud Hart Lovelace) or I may try some new-to-me titles. You all had so many YA recommendations last year, so I'm hoping you can think of some good ones that were written before 1970 to recommend to me this year! In my book club, we focus on a different genre each month (January is Adult Fiction, February is Love/Relationships, March is Memoir, etc.). A few weeks before the new year, the months get divided up between the members. Then we all meet together, and each person brings three possible titles for her month. She shares a brief summary of each one, and then we vote for which one we want to read as a group. This year, I signed up for September, which is non-fiction. The three titles I recommended were Dead Wake: the Last Crossing of the Lusitania by Erik Larson, Walkable City by Jeff Speck, and The Four Tendencies by Gretchen Rubin. The Four Tendencies won the book club vote, so that's what we'll be reading, but I'm dying to read the other two as well, so I'm going to do it. I mentioned this goal in the most recent episode of The Book Blab. I've been collecting the Penguin clothbound hardcovers because they're just so gorgeous, and I love the way they look on my shelf. However, I'm a firm believer that the books in my home should be ones I have read and, for the most part, loved (and a pretty edition is a great reason to love a book). Right now, I have three books in this collection that I've never read: Villette, The Tenant of Wildfell Hall, and Wuthering Heights (all Bronte sisters classics). I want to read at least one of them this year (or maybe all three, but I'm trying to be realistic). At this point, I'm leaning towards Wuthering Heights even though I probably won't like it, but it's so well known that I'd at least like to have my own opinion of it when other readers are talking about it. After I read Honey for a Child's Heart a couple of years ago, I got my own copy because I wanted to use it for a reference. And how many times since then have I flipped through it for ideas for reading material for my kids? Maybe once. But I still believe that it's a great resource, so this year, I'm going to consult it and choose three books to read from it--either as readalouds to my kids or as books I'll read along with them. These are two parenting books I've been wanting to read, and I think it's good for me to read at least one parenting book every year. If any of you have read either of these and have an opinion to share, please do so. Or if you know of a different parenting book I should read instead, tell me. I could be persuaded to alter this goal. I don't expect most people who read this blog to know who Clara Parkes is. She writes knitting books. But she's rather unique in her writing because, unlike most books about knitting, her books are not full of patterns but are rather in-depth views of different aspects of the craft: things like wool or yarn or what knitting looks like all over the world. But the books I'm probably most interested in are the ones filled with her personal thoughts on knitting and the impact knitting has had on her life. This will be one of my fun goals, one where I combine two of my favorite things: reading and knitting. I'm pretty picky with the books I choose to own, and so most of the books on my shelves are ones I truly love and want to reread. However, sometimes it can feel like a big time commitment to reread an entire book when there are so many books I haven't read yet. But no one is forcing me to reread the whole book. I can just pick one up and start anywhere and stop anywhere and skip around. That's the beauty of reading something I've already read. And so this year, I'm going to do just that: fiction, nonfiction, old, new, I'm going to pick up the books I love and spend some non-structured time in them. And I think I'm going to love it. This might just be my favorite list of goals yet. I can't wait to get started (and since January is almost over, I can't afford to wait any longer). Which goals should I tackle first? You're probably right in that you won't love Wuthering Heights. I think the only enjoyable part about it for me was that I was in England when I read it, so it seemed very appropriate. But that being said, I do remember feeling satisfied with the ending like things had come full circle, and there was definitely some sense of redemption. Great goals! I’m also going to try and tackle Wuthering Heights this year. There seems to be a lot of divide with people loving or hating it so I’m interested where I fit in the category. Walkable City was definitely an interesting read. Maybe not my favorite non fiction but I do think about it from time to time, especially when I move to a new place. We'll have to talk about Wuthering Heights when we're both done with it! I'm that odd person that loves Wuthering Heights...not the characters, they're pretty terrible, but I love the landscape and the mood. Read it on a gloomy, blustery weekend! I read To the Lighthouse in college for a senior seminar on Impressionism. I remember not really liking it, but I'd love to go back and try again now that I'm more aware of literary history and have more experience reading stream of consciousness and stories that are not told chronologically. Good idea! I'm thinking October or November for Wuthering Heights. I love how purposeful you are about your reading goals and how that seems to produce a meaningful reading experience each year. Definitely something I aspire to but haven’t achieved. I really liked the Tenant of Wildfell Hall (more than Wuthering Heights and as much as Jane Eyre). It’s been 15 years, so maybe my opinions would be different now. 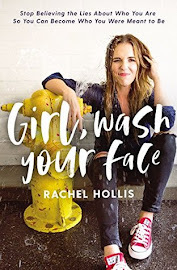 The writing is more accessible, the storyline a bit more modern and with fewer convoluted twists, and you’ll find likeable characters instead of tormented characters you love to hate or hate to love. These might be the reasons it is less well known-it doesn’t stand out as much as the other sister’s works. Not as good for an English lit class, but maybe more enjoyable for personal reading. Good insights about The Tenant of Wildfell Hall! That makes me excited to read it! You make such mindful goals -- I really admire that. Are you going to read you editions of the classics or will you let yourself get audible files? It looks like there's a full cast audio of Wuthering Heights available; that might make it more fun to listen to. I'm replying to this late, but I revisited Notes From a Blue Bike in January and When Breath Becomes Air and The Hiding Place in February. So good! I'm going to let myself listen to the classics. I just seem to enjoy them more that way. I'll look into the full cast edition! I started Simplicity Parenting, but I'll admit, the tone bugged me so much that I didn't get far. I've been hearing a lot of buzz about it though, so maybe I just need to power through. It's really fantastic. I highly recommend it. Hmmmm, interesting. I'll keep that in mind.